Manila, Philippines, May 29, 2018 -- As wine continues to grow in popularity and sales soar over ecommerce platforms, online wine marketplace Winery Philippines (Winery.ph) has launched Kavino Club in the Philippines, offering customers a monthly wine subscription and delivery service at the click of a button. This announcement comes on the heels of the company’s second round of funding. By delivering expertly selected wines from the best wineries around world to Filipinos nationwide, the service allows wine lovers to-be and wine aficionados to go on a wine adventure by simply signing up to 2, 3, or 6 bottles monthly. Customers have the option to choose red, white or mixed varieties, and to subscribe as pay-as-you-go or pre-pay for 3, 6, or 12 months. Kavino Starter, ideal if you want to “trial” the products and the service, includes 2 bottles of highly rated wines complete with pairing notes with a combined value of at least Php 2,400.00. Customers enjoy a free bottle of premium wine if they sign up for 6 months or longer. 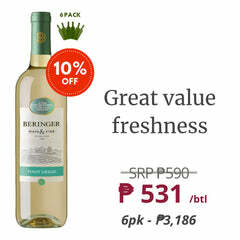 Kavino Premier members receive three bottles of award-winning wines, with a combined value of at least Php 3,600.00, a free bottle of sparkling on their birthday, and a year-long 5% discount on wines purchased outside of their subscription -- any quantity, any time at Winery.ph. 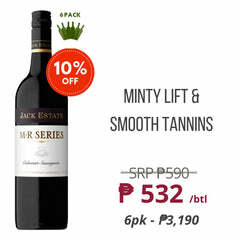 Kavino Boss members receive six bottles of award-winning wines, which have a combined value of at least Php 7,200.00, a free bottle of sparking on their birthday, and a year-long 10% discount on wines purchased outside of their subscription. Free shipping to the greater Metro Manila area is included with each membership, while shipment to areas outside of Metro Manila is handled on a case to case basis. 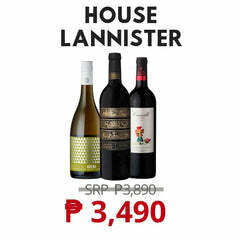 Although wine is widely available in the Philippines, one of the key barriers to greater adoption of wine has been a lack of product knowledge among consumers and limited options to access information beyond what is written on the label of a wine bottle. Winery Philippines differentiates itself through its world class digital curation approach designed to empower its customers to discover wine, by providing easy to digest product information that is contextualised for the Filipino consumer. For more information, have a look at the Kavino Club subscription offerings. 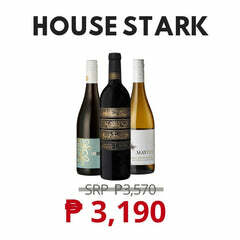 Winery Philippines (Winery.ph) curates and sells the best quality, value for money wines in the Philippines through an online wine marketplace, launched in 2017 by a group of passionate wine lovers, who wanted to drastically improve access to good quality wine for Filipinos. 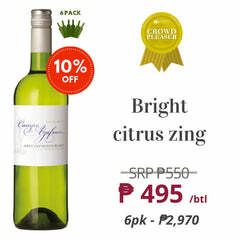 Winery.ph services customers in Metro Manila, as well as other locations in the Philippines. Wines are sourced from Australia and USA, direct from the wineries and from the best Manila wine suppliers to ensure only the best boutique, quality wines. Winery Philippines (Winery.ph) announced today that it has raised a second round of funding from a consortium of HNW private investors, aiming to further accelerate sales and marketing activities and fund operational capacity to service its growing customer base and vendor partners. Our dear friends, Ms. Mia Aguila and Mr. Roki Ferrer, were kind enough to feature us on their food-lovers' blog, The Foodie Station! When In Manila Wants Millennials to Join the Winery! Hey, kavinos! We're excited to share that we've just been featured on one of the most popular lifestyle sites in the Philippines, When In Manila!